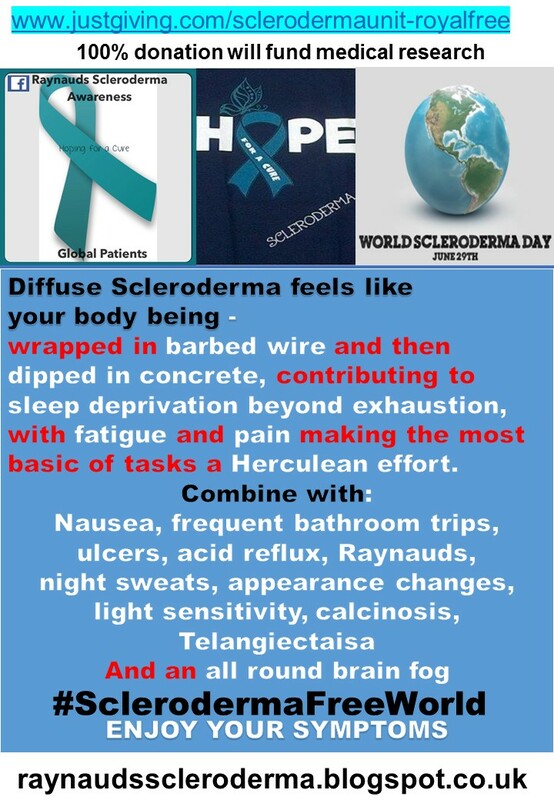 Scleroderma can affect all body parts, including the heart. This can be seen in the limited forms and the diffuse forms – see Day 1 Scleroderma Awareness Month Campaign 2016. 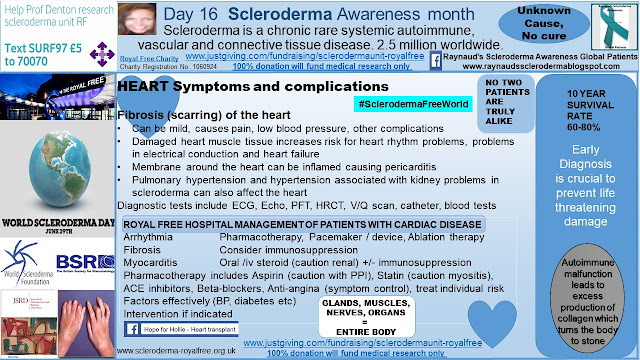 As can be seen in the above image, scleroderma can affect the heart in many different ways. An early diagnosis and diagnostic tests can be crucial in preventing life threatening damage with irreversible heart involvement. Currently, there is no cure, with treatments targeting symptom suppression and blood pressure regulation, with transplantation, being a final option.